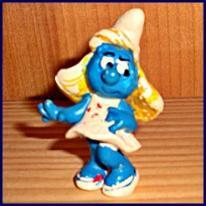 These smurfs should not be confused with Argentinia Minimodels, which are offically licensed smurfs. and harder to find fakes. Copyright 2011-2017 www.hiddeninthewoods.com - Reproduction of any material on this site is prohibited without written permission. Many different kind of fakes are coming out of Mexico. 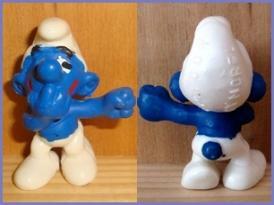 There are the "Jello" like raw smurfs, that look nearly good enough to eat. 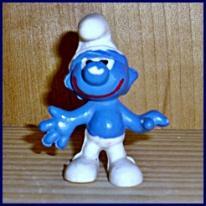 off, making the smurfs look like raws. 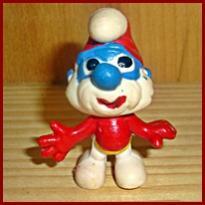 Also out of Mexico are coming "Norel" smurfs that wear the markings on the back of their caps. bought them from a Mexican seller.